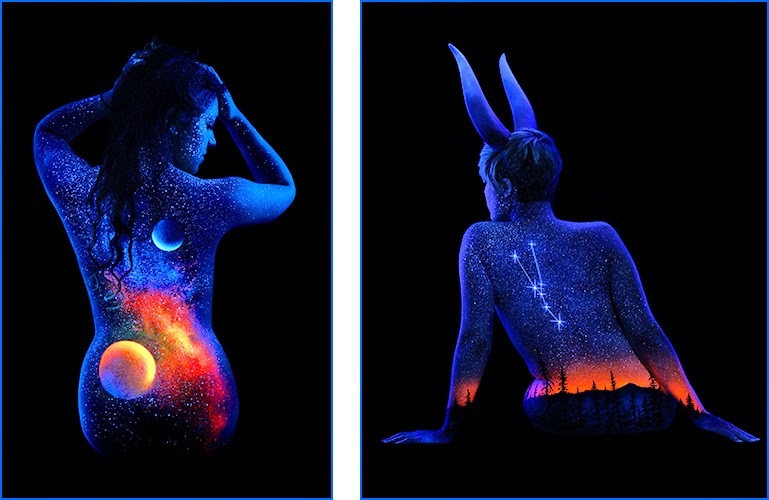 Beautiful creations by American Artist and Photographer John Poppleton. 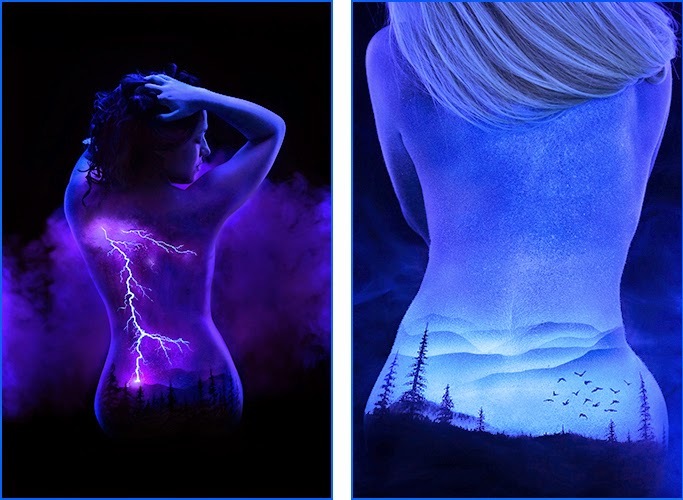 In his body painting art, he calls "Bodyscapes" he uses temporary fluorescent materials to paint incredibly vibrant and colourful landscapes brought to life by a Black Light. We have included 4 short videos (watch them full screen if you can.) 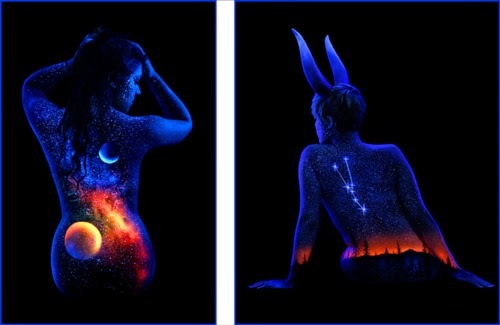 to show his technique and the richness of the colours he uses. There are also various pictures that can be enlarged below the videos.